I am only able to speak about the UK as that is the only place that I have purchased them. However, visits to garden centres in Europe suggest that the caveats that I give are probably valid there. The name "air plant" is a bit of a misnomer as it implies that the plants live just on air. In fact it is essentially the moisture in air on which they live plus nutrients carried in that moisture. 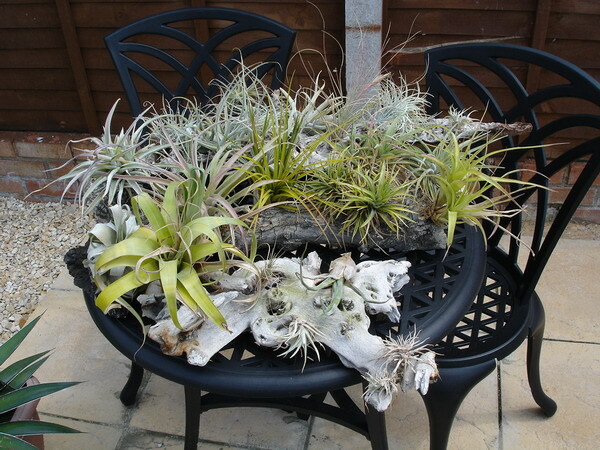 Very few garden centres (at least in the UK) seem to have much of an understanding of air plant nurture, which is why great care needs to be exercised when purchasing them. If they look wizened and dead, they probably are. However, if the leaves have some colour, not necessarily a lot and look as though they have some substance, they are probably OK. 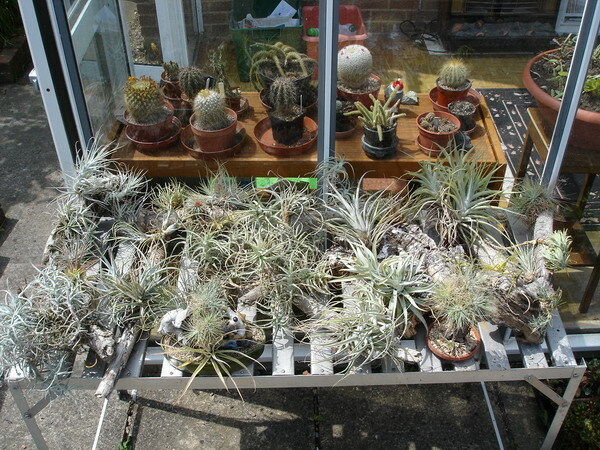 The best place to go if you can is a Tillandsia specialist. You can find lots of these via a search engine such as Google®. Be particularly aware of specimens that have got obviously fake flowers stuck in them (this applies to cactus as well). On the plus side, garden centres do tend to have the more hardy varieties, so if you are just starting and you choose healthy plants you should be well rewarded. 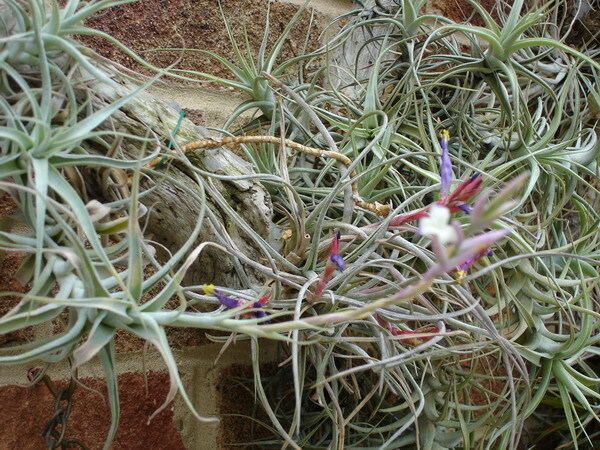 I am fortunate in having a copy of "Tillandsia" by Paul T Isley III that I bought from California some 20 years ago. It is probably the definitive work on the species but now appears to be out of print and expensive; a copy on the Internet was selling for $400. However, a search on the web shows many books to be available, in several languages. 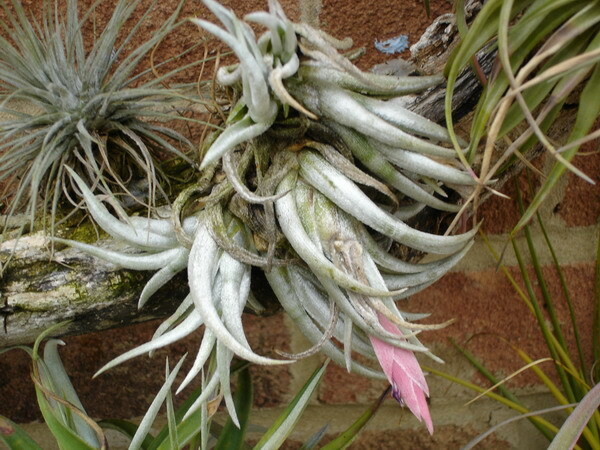 To be accurate, Tillandsias are a subfamily of the enormous Bromeliad family. This includes all sorts of plants such as orchids (some of which are also rootless) and pineapples. 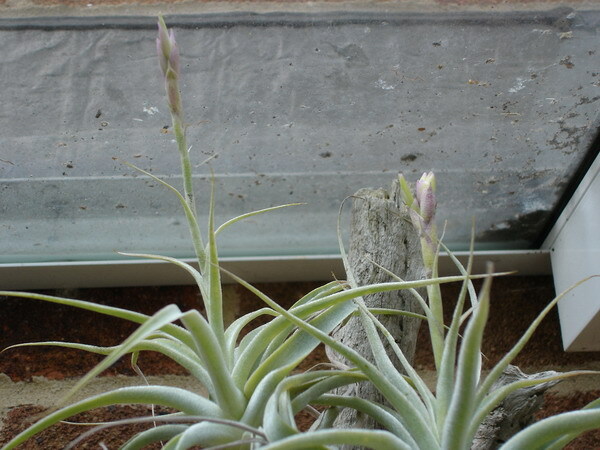 Tillandsias themselves have a large range of sizes and shapes from the tiny T. Bryoides (left), which I have to T. Grandis, which I don't, but I have seen a picture, it looks like a large Aloe in bloom. 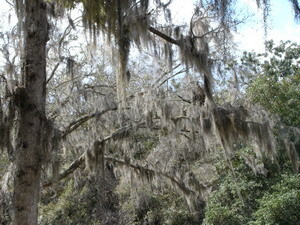 T. Usneoides (Spanish Moss, right) can grow into huge hanging clumps, and can be seen all over the southern states of the USA. "Normal" plants obtain water through their roots, and send it up through their stem and branches to their leaves. As the water passes along this route, cells take in the water they need. Any excess water is disposed of through the leaves by transpiration (the plant version of sweating!). Cactus and some other succulents modify this process. Their leaves have been turned into spines, so transpiration takes place through the stem, or body of the cactus. They are not too good at this so don't overwater your cactus! 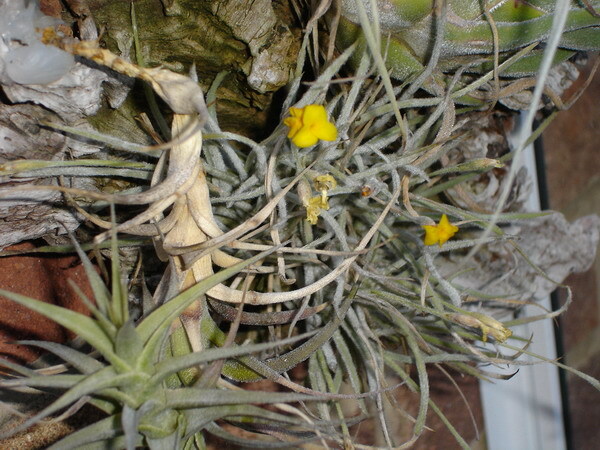 Tillandsias and other rootless plants cannot operate like this, they have to both take in and get rid of water through their leaves. They do this by a combination of capillary action and osmosis (the passing of water molecules through a membrane). The cells that hold the water and nutrients solution will expand with water until internal pressure stops the flow. Excess water is then removed. A lot will depend on humidity. In a hot and humid climate like Singapore the plants can often get all they need from the atmosphere. Conversely in a hot and dry environment like southern Spain, daily spraying is needed. Cool and wet or cold and wet like England is bad news! All you can do then is to try and protect the plants as best as you can. Mine are in a heated conservatory (don't mention the electricity bills!) on the house wall which is hopefully slightly warmer and dryer. Actually the biggest killer is not the overwatering itself but allowing water to pool in the leaf bases which (a) drowns the water and air input cells (stomata) and (b) causes rot. Most certainly you can. 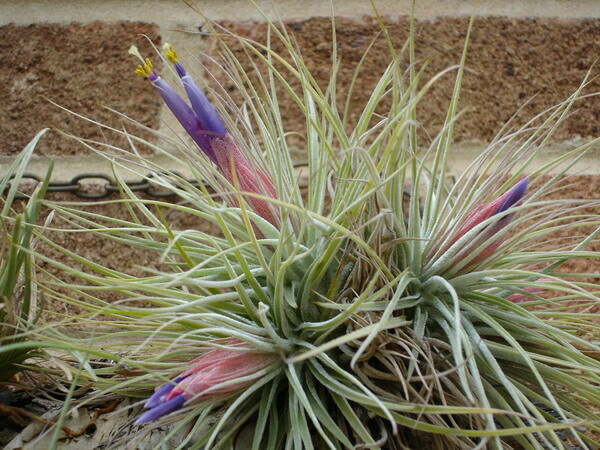 There is a common misconception that air plants do just that - live on air. They can, and do, survive for a fair while on the moisture in the air but not forever. Watering frequency should vary between daily in hot dry weather and weekly in cooler conditions. In cold conditions, water even less and sparingly. 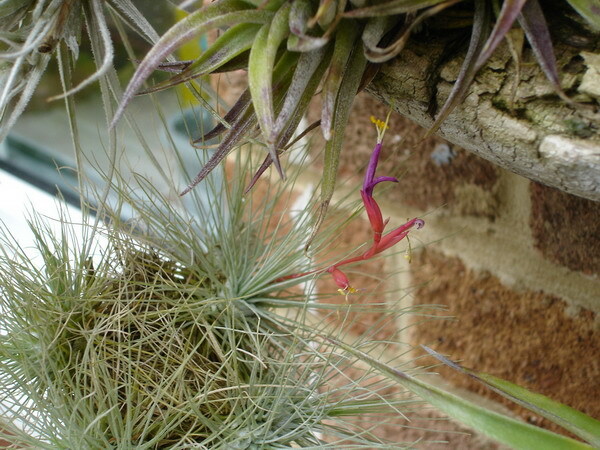 Yes, most Tillandsias will flower regularly if they are happy, see the pictures. However, don't expect anything too grand! Most flowers are rather simple things but have a charming simplicity when viewed closely. Even T. Usneoides will have a very tiny flower. Generally not very fast. Over about 5 years, most will double their size. Spanish moss will, however grow like ivy, given a chance. I started about 10 years ago with a piece about 30cm across and put it on the skeleton of a 1.5m tree. Today it has almost covered it! 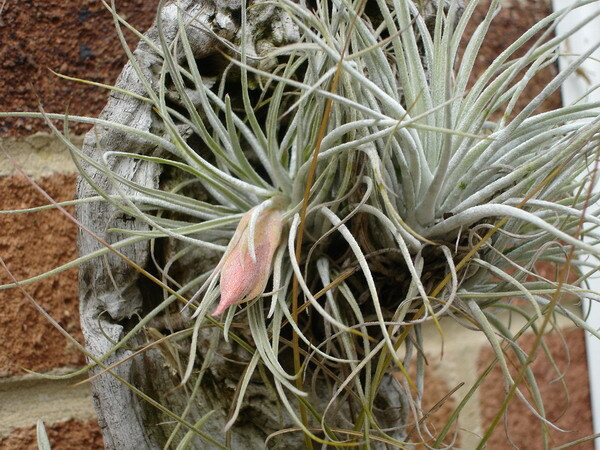 The usual pests will attack Tillandsias, white fly, mealy bug etc. If there are not too many, they can be picked off by hand or washed off with a (not too strong) stream of water. Large infestations will need a moderate spray with insecticide. 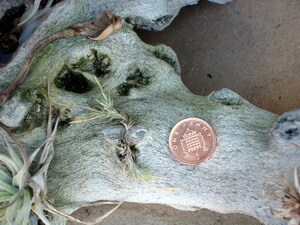 The most common disease is rot from overwatering. Unfortunately this usually starts at the hidden base of the plant where water collects. Very occasionally a plant can be saved by pulling out the rotten leaves and drying the plant off, but usually it is too late - so don't let it happen! 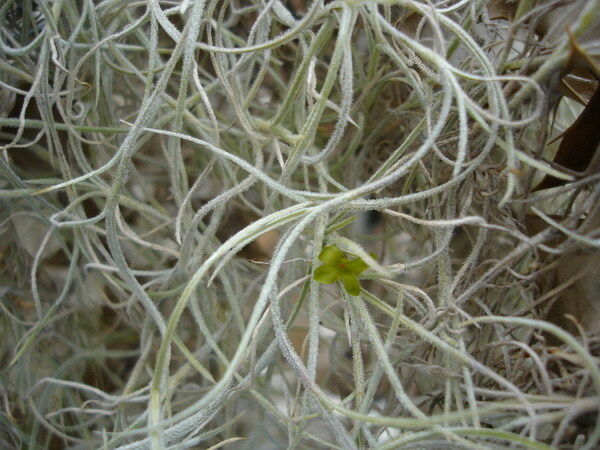 Left, the tiny flower of T. Usneoides (Spanish Moss). I understand that the Aboriginal Americans used the moss as bedding. I hope they removed the insects first! Right is T. Oaxacana. 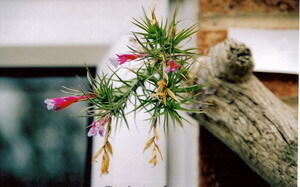 In the left picture are some plants, two in flower. I have labels for them but am not entirely convinced as to the names being accurate. From L to R we have T. Tenifolia, followed by the white flower of T. Diaguitensis(? ), then the blue of T. Duratii(?) and finally T. Bergerai - Major. The picture on the right shows a T. Mitlaensis in bloom (and in need of a clean-up!) with a T. Plumosa behind. 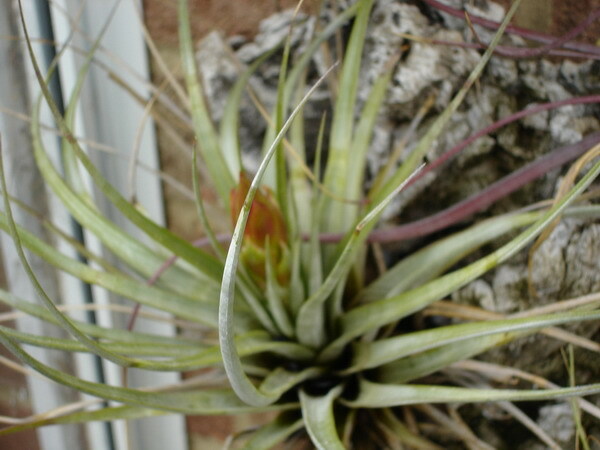 On the left is T Argentea, and on the right a T. Fasciculata is just coming into in bloom. The one on the left is labelled as T Cacticola, but I'm sure it's not, and on the right T. Recurvata is more certain. Behind T. Latifolia are the sweet scented yellow flowers of T. Crocata. Right is a rather poor picture of T. Tenuifolia.